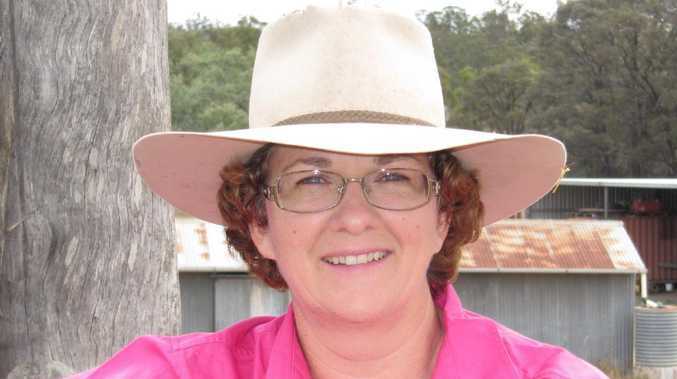 AgForce general president Georgie Somerset. FARMING sector organisation AgForce is pushing for the State Government to hand over to industry two agricultural colleges that are struggling so badly they are slated for shutdown. AgForce argues that it could "lead" an industry move to overhaul the State-backed Queensland Agricultural Training Colleges at Longreach and Emerald. "We can certainly provide more relevant training and we can broaden what's (offered)," AgForce general president Georgie Somerset told The Courier-Mail. The State Government last week said the two colleges, which had 73 full time students commencing in 2018, had been slated for closure at 2019's end. A review by Professor Peter Coaldrake had found the model of residential-based agricultural education at the colleges is "under threat everywhere and is clearly unsustainable in central western Queensland". Ms Somerset maintained that the colleges were too important to allow them to be axed, and it was speaking with organisations and community groups for ways to save them. Questions about funding, including any government backing, were still being considered, she said. AgForce argued an overhaul of the colleges could create "the backbone of a comprehensive, future-looking rural research and education system", looking at areas linked to sustainable agriculture such as reef preservation. Agricultural Industry Development Minister Mark Furner's office said the Government would work with local communities to work out the best use of the facilities, adding this "could include partnerships with industry and education providers to continue to offer training and skills education". The colleges' current model had been under pressure. Prof Coaldrake's report cited criticisms that the colleges were "out of touch with the needs of employers and industry" and QATC's revenue streams were "below target". AgForce-led move would also move into areas where rivals exist - Prof Coaldrake's report highlighted that new private and non-profit training providers had sprouted in the last decade to meet education needs. But Ms Somerset argued the rejigged colleges could even work with outside training providers, bringing them together with the colleges' assets.